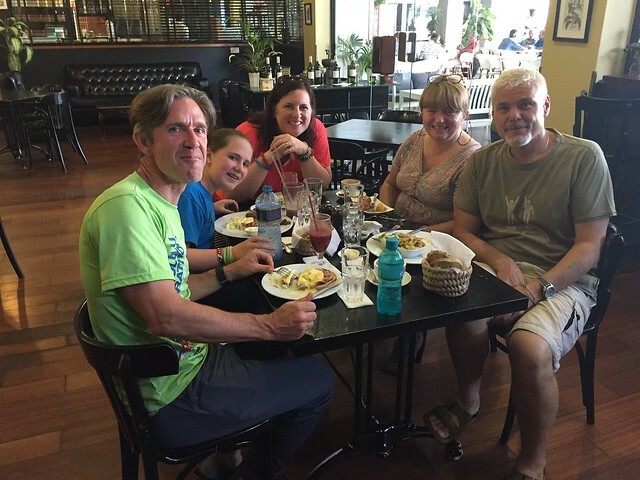 A chance meeting on a plane from Nairobi to Amsterdam resulted in a visit to Mombasa and in particular The GLO & SBM School for The Grubb Family from Utah in the U.S.A. last month. Kevin had met Timothy on the plane and both has discussed what had brought them to Kenya, Timothy was returning to Salt Lake City after spending time on a humanitarian tour with his wife Carrie and a group from their hometown. 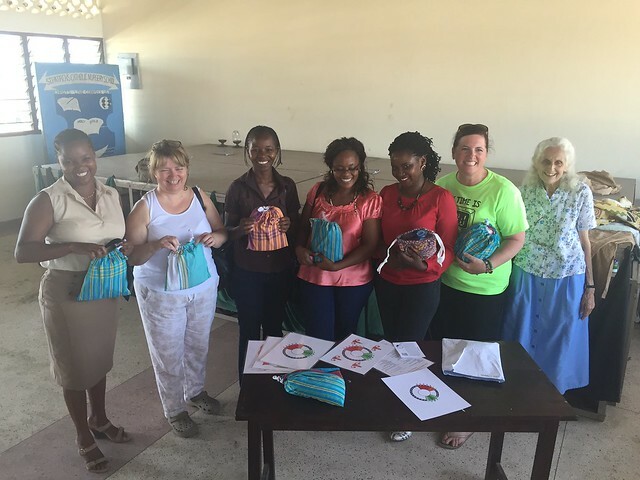 They were very interested in setting up a centre for making reusable sanitary packs for girls and although they had the knowledge they had no premises where they could operate the project from. 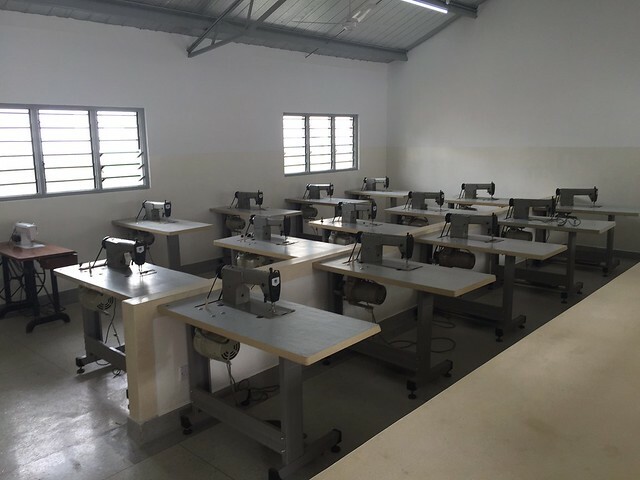 Kevin explained that we were just completing our new Technical Block which would house a sewing room and we had just had a batch of sewing machines donated by Umoja Shoes in nearby Kikambala, a golden opportunity for both The Grubb Family and GLO/SBM School. Twelve months after this initial meeting between Timothy & Kevin, we were very happy to be welcoming them to Mombasa. We were even more surprised to meet their lovely daughter Elle who was shattered after a very busy two weeks travelling around other projects in Kenya, all she wanted was a bed and a good night’s sleep before embracing the Coast Province and The Good Life Orphanage the following morning. Our first stop the following morning was breakfast at Cafesserie at City Mall in preparation for a very busy few day ahead. Although Timothy, Carrie and Ellie were only staying in Mombasa for a few days we tried to fit in as much as we possibly could to the short time frame including a visit to a women’s co-operative at St Patrick’s Parish in Bangla slum who make the reusable sanitary protection kits and meeting the very enthusiastic team including the inspiration Judy Walter who run the day to day operations there. 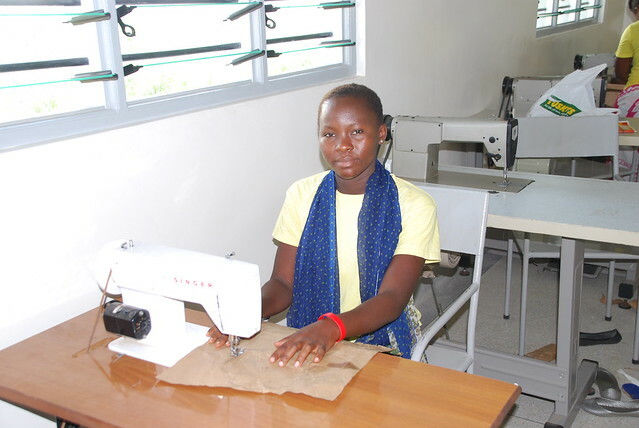 Kahidi who is teaching the students in our new sewing room was very interested in the way the packs were made and is aware of the high standard require on the finished products so they last between three and five years. Madam Pauline, Madam Elizabeth & Lucy our counsellor were all in attendance as well to start spreading the word in our area. 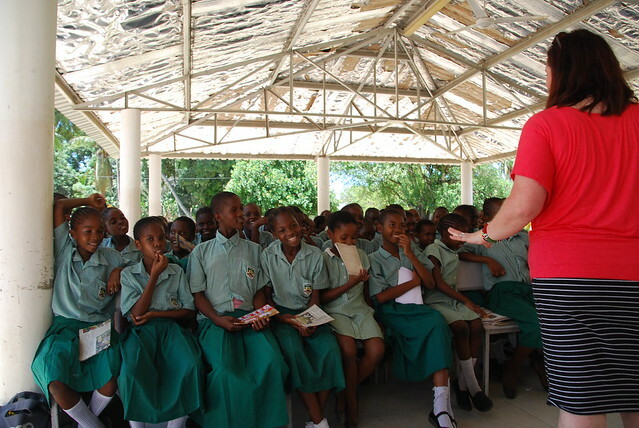 Carrie also spent time at SBM School with our older girls explaining about the kits, the importance of menstrual hygiene and staying safe in what can be a very hostile environment to young girls at puberty and beyond. Even our teachers were amazed at the information in the talk and all agreed it gave the girls very positive vibes about what was actually happening to their bodies. It was a very enjoyable morning for everyone involved and all were very keen to start using the kits which hopefully we will be producing very soon. Timothy, Carrie & Elle have returned to the U.S. after their visit and are very keen to get the project up and running, funding will have to be sourced to enable the smooth running of the project and we are looking forward to getting our young students trained so they can start producing the reusable kits in the very near future. Elle has written a piece about her time at The GLO, it sums up the warmth of our project and also how important we view each and every visit by a volunteer. 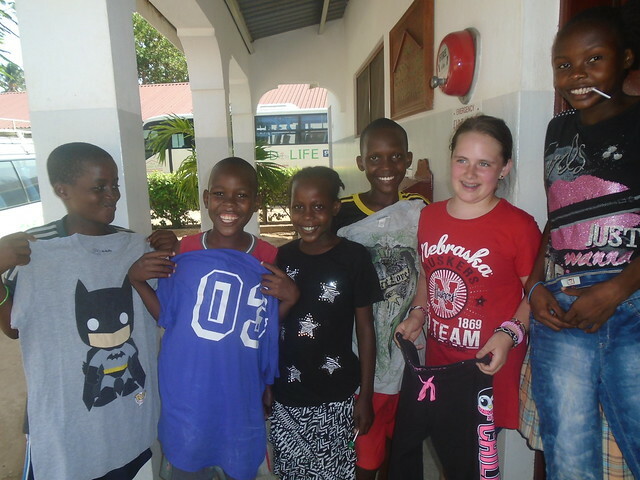 We were on a humanitarian trip to Kenya and visited The Good Life Orphanage. It was my favourite part of the trip because everyone was very kind and the children were fun to spend time with. They get along really well with each other. They understand English really well and seem super smart. It was fun to play soccer, make crafts with them and just spend time visiting. I also loved being apart of their whole day and seeing what their responsibilities are and how they joke around but also obey the Momma’s and Aunties. 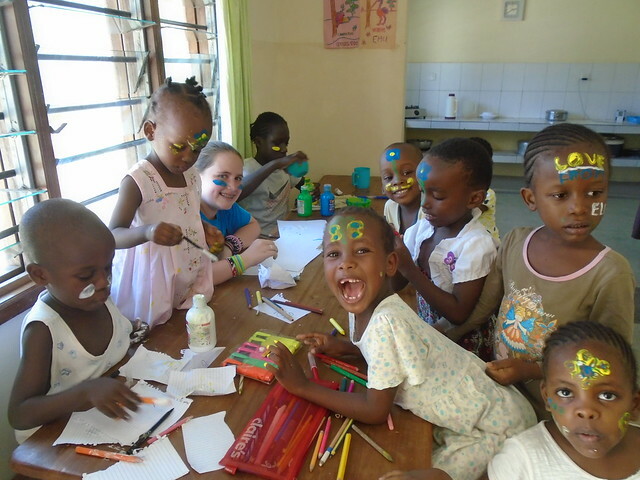 There is a good spirit at The Good Life Orphanage. I loved just being there. I miss them very much and hope to come back soon! I just love reading stories like this it amazes me that there are such wonderful people like yourselves out there doing so much for other people. i do believe in fate and you were meant to meet the Grubb family . Teacher Kahindi is doing very well with the girls in sawing. Lavenda now knows how to cut and sawing the reusable sanitary pad. All the way from Salt Lake has make a different at GLO. Great to hear. God bless that family abudantly.